In the video below crews are working on how to handle an air pack emergency. If there’s one person whose opinion must matter more than any other in the controversy surrounding a public road in Canfield, it’s Don Hutchison, chief of the Cardinal Joint Fire District. Hutchison doesn’t have a political constituency to consider, he doesn’t have a personal stake in the battle, and he certainly doesn’t have to pick sides. The chief is governed by this overarching responsibility: to ensure the safety of the public. Therefore, everyone should just step back and let Hutchison have the final say on what should happen to the road that connects Timber Run Drive and Stonebridge development in the city of Canfield to the Westbury development in Canfield Township. There’s no doubt the controversy over whether the road should be kept open for public use or restricted to emergency vehicles and personnel has ignited the passions of city and township residents. But this is an issue that must be resolved using objective criteria. 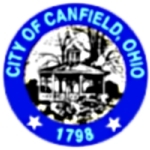 Last week, Canfield council’s meeting room was jammed with city and township residents hoping to influence the outcome of the struggle. Hutchison, in his official capacity, called for an unimpeded, open road. 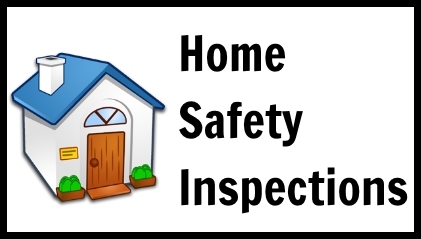 And to demonstrate just how seriously he takes his charge as the protector of the public, the chief made it known that he is prepared to file a lawsuit if the final decision about the road violates the state’s fire codes on access. Indeed, access is at the heart of the battle between the city and township. Mayor Bernie Kosar Sr. suggested last week the road should be kept open, but that access should be limited to emergency vehicles. However, Canfield Township Trustee Marie Cartwright pointed out that a public access road was part of the original design of the Stonebridge development and thus there’s no justification for changing that plan. “It was stated as public policy, that roadway was going to get in there at some point in the future,” Cartwright said. Indeed, the planning commission approved road plans dating to 1991, and undoubtedly many prospective home- owners looked at the access to public roads and the ease of ingress and egress when deciding where to buy or build. Several residents on Timber Run Drive now want the road connecting the two developments to either be gated and padlocked or converted to a non-throughway road only accessible to emergency vehicles. Neither of the suggestions makes sense. 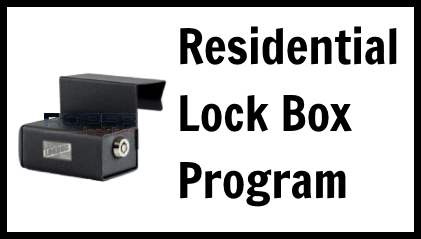 Westbury homeowners correctly point out that closing and/or gating and padlocking a long-standing planned road, which is now open, would jeopardize the safety of their families living in the development. Emergency vehicles would be forced to take a longer route or face delays while personnel unlocked the gate to enter the development. The only other access road to Westbury development is Gibson. However, because the development has more than 30 homes, Ohio fire codes mandate two points of access. In the end, the battle between Canfield city and township residents comes down to this question: Does public safety trump the desire of a select few homeowners to hold down the traffic count in their neighborhoods? We believe it does, which is why the ultimate decision on what happens to the connecting road should be based on the opinion of fire Chief Hutchison. 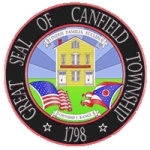 Canfield City Council is awaiting a report from the Cardinal Joint Fire District and the Ohio Turnpike Commission, which paid for completion of the road. The attendance at last week’s council meeting shows that this is a battle that could reopen old wounds that existed for so long when the two communities were at loggerheads. Great progress has been made in bringing the city and township to the table to find common ground on myriad issues. The Cardinal Joint Fire District is without question a success story of cooperation.